Behind the scenes at Grosh Backdrops and Drapery. When we think of the word “artist”, there are many pictures that come to mind. Artists span anywhere from music, to painting and moving right into dancing. The wide and wonderful world of artists is what keeps the beauty of the arts alive and thriving on a day-to-day basis. One of the key components that brings a performance to life is the visual aspect which sets the tone for the performance but also add character while tying the story together. 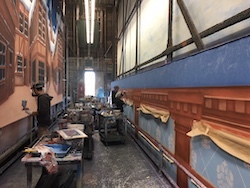 Just as choreographers and dancers are storytellers and artists showing their talent through movement, Grosh Backdrops and Drapery consists of a team of artists who work to enhance the theater experience — along with other facets of entertainment — in order to further complement various shows and performances. 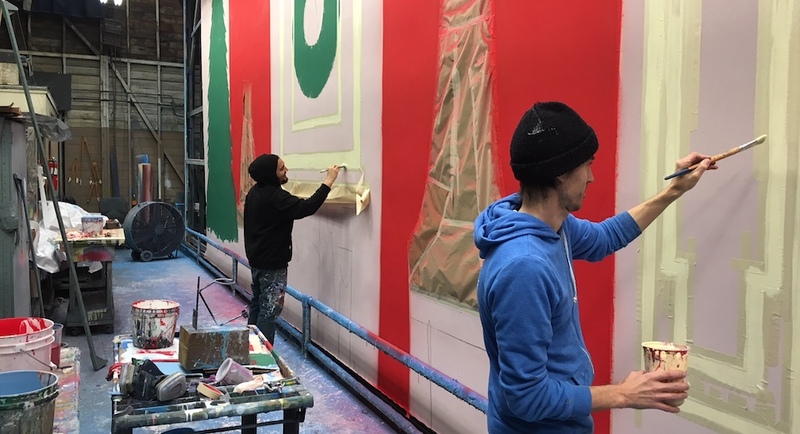 Just as choreographers fine tune their work from the dancers down to the costumes, Grosh prides itself on using artistic expertise to create beautifully painted backdrops, as well as the innovative digital designing, to bring recital ideas, stories and themes to life on stage. 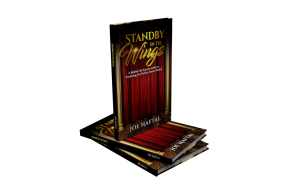 It is a match made in heaven for the performance world and one that continues to flourish. Grosh Creative Director Greg Viera speaks to Dance Informa about the ins and outs of designing backdrops. Similar to how a choreographer creates works that look good on the dancers and dancers perform to a level that is captivating to the audience, Viera uses his artistic experience to bring to life exactly what the customer wants. 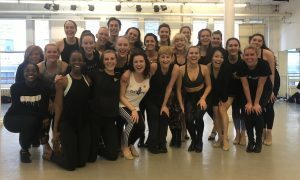 Similar to how choreographers jot down ideas of movements they want to do, Viera, along with the other artists at Grosh, make samples and test out ideas based on the sketches they receive. While analyzing what has been sent to them, Viera explains how they make sure the process goes off without a hitch. With the timeline spanning anywhere from one week, three weeks and even one day to get a backdrop done in some instances, while painting and creating these backdrops offers its challenges, Viera and the Grosh team are efficient with their timeline and work load while paying attention to details such as if the design is easy to transport and how the finished product will look once it is hung. Fellow Grosh team member and artist Dion Macellari is similar to a dance instructor or choreographer in regard to the projects that he is involved in on a daily basis. Although the design may not be his vision, there is a sense of care and detail that he must still instill in whatever scenic design is given to him. This can also offer some challenges, as many projects do at times. Just as costumes need finishing touches and last-minute changes are made for choreography in the dance world, in order for certain projects to come to life, Macellari must add what he needs, make sure it is done on a larger scale and doctor up the designs that are presented to him. 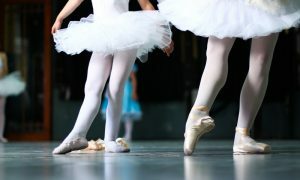 There are always adjustments that can be made, and that is no different than when a dancer hits the stage. As an artist, it is about fine-tuning the work and making sure it looks its best before being presented to audiences. 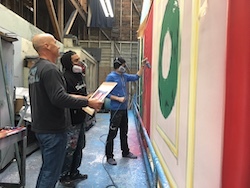 Once a production hits the stage is when all of the efforts come together, and it is a magical experience not only for audiences but also for those involved in all aspects of the production, including the artists who create the backdrops. It is that moment of fulfillment that artists in all arenas feel when a project follows through without a hitch. One thing is for certain, the accomplishments made are evident when everyone is happy with the finished product. For more information on Grosh Backdrops and Drapery, check out www.grosh.com, as well as www.groshcustom.com for their various works for television, dance, theater and much more.